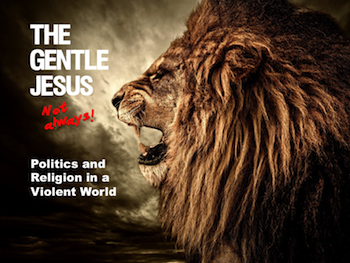 The Gentle Jesus? Not Always! Cost: There are no set fees for this seminar. All we ask is a gift to help offset expenses and housing when applicable. 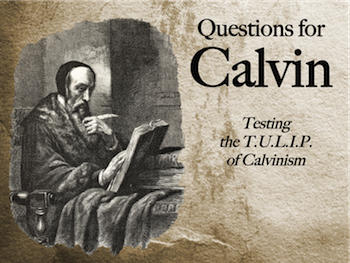 Back to Top of "Seminars"
In a culture so devoid of personal responsibility, Calvin's doctrine of grace without responsibility is truly alluring. But is it biblical? Are babies born with sin? Did Jesus only die for a limited few? Eternity hangs in the balance. Please allow me to come and share this important material. Some church growth studies estimate that as high as 70% of high school seniors leave the church upon graduation! When I began working with young people over 30 years ago, church growth experts estimated that approximately 45% of high school seniors left the church upon graduation. That statistic shocked me then and it continues to drive my ministry to this day. 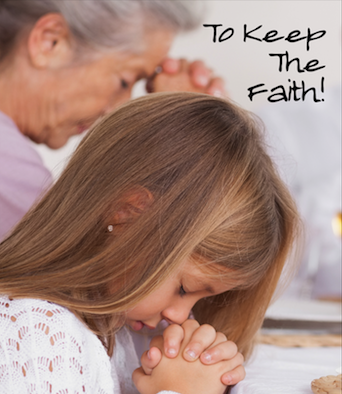 Over the last 3 decades, I have given a great deal of thought and prayer to this subject. I have been blessed to travel from coast to coast, speaking on this tragic trend, and write several books about the biblical solutions. Few things are more important to the future of this nation and the church than proper management of our most precious investment - the children. Would your congregation be interested in hosting this important series? Islam Seminar: Is Islam America's Babylon? What is the Ishmael Prophecy? What is the truth about Islam? Should we be alarmed at the misinformation being presented to our young people? Does it matter that Islam denies Jesus as the Son of God? Are Allah and Jehovah the same God? Should we be concerned about the danger Islam poses to our daughters? Is Islam really a peace-loving religion that has been hijacked by a few radicals? Below are several direct quotes from the Islamic holy book, the Qur’an. Please take time to read each passage and ask yourself what would happen if these values were to become dominant within our country. 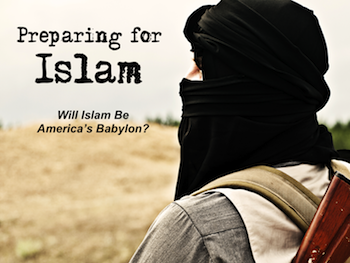 Could Islam become America’s Babylon? “It does not behoove God to have a son. “Men have authority over women because God made one superior to the other, and because they spend their money to maintain them ... As for those from whom you fear disobedience, admonish them, forsake them in beds apart and beat them. Would you say it is fair to assume that a good Muslim obeys the Qur’an? If that is a reasonable assumption, then it is also reasonable to conclude that the politically correct propaganda about them is unreasonable. Islam is not a peace-loving world religion that has been hijacked by a few radicals. Islam is a violent world religion that has not yet brought all of its followers into full submission to the violent teachings of the Qur’an. Islam is a time bomb waiting to explode and we owe it to our children to understand the threat. 1. During the Old Testament period of history, God was preserving a remnant of humanity in order to bring His Son into the world. To do this, He worked within the violent, infantile sandbox rules of that time. May every Christian everywhere see it as their personal responsibility to draw others out of the sandbox and into the light of God’s only begotten Son. "Radical Few or Faithful Minority?"